On Census night, I filled in the online form using one of the supplied codes. I didn't log out of the Census website, and log back into it with the secondary resident code. Why would you need to? The first form allows for multiple people, but it now seems the system doesn't recognize that. Do I get another follow up letter, asking me to complete the Census. Do I ignore it, knowing its already been done? Should I simply fill it out and and say nothing? Perhaps I should simply wait for the fine and then point out I have already completed my obligation and laugh at all this bureaucratic nonsense? Small Extract of my Australian Census Reminder Letter The funny part about all of this, is I really didn't want to fill the form in anyway, and in a quirk of fate, my original thought about this new cattle muster OOOPPPS I mean Census, seems to be correct. You are now all carrying a hidden micro chip with you, its called a failed Australia Card. 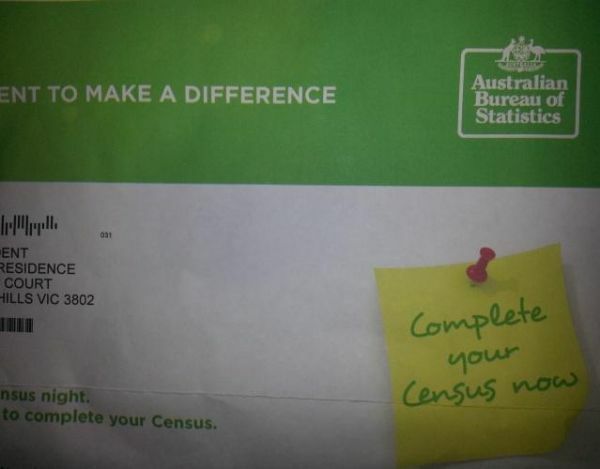 (All possible information about you shared between government agency's) Now, do I have an official record about my private life, with an addendum on it saying late Census form filler? haha. As another side note: I know of a couple, who are still waiting for the original pin numbers, so they can complete the Compulsory Australian Census Form. Do they get a fine, for not completing the Census on the night? So many decisions, Its really a big mess that someone should loose there highly paid government position for. (Do you agree?) Or am I being paranoid and a cynic at the same time?